Southlake Foundation Repair - We will beat all bids! 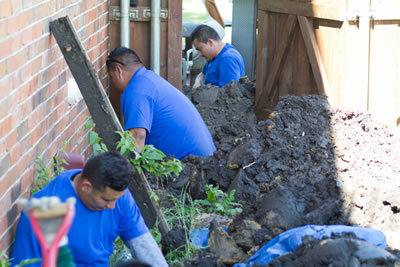 Expert foundation repair serving Southlake and the rest of the DFW metroplex for over 20 years. 1st Choice Foundation Repair is a full service foundation repair company that was founded in 1990. We have a long list of satisfied customers in the Dallas Fort Worth metroplex and surrounding areas that refer us over half of our new business. With 1st Choice Foundation Repair, you are always provided the highest quality service and products at the best possible price backed up by our BEST PRICE GUARANTEE. 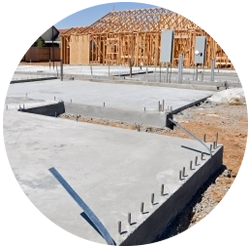 We have been repairing slab and pier and beam foundations in DFW for over 20 years. You can trust the 1st Choice Experience. We provide a lifetime warranty on all of our steel pier installations. Why? Because we know your home will be protected for life once we repair it! Most small insurance companies do not offer insurance on their foundation repair jobs. Not so with 1st Choice! 1st Choice Foundation Repair will always provide you with an honest opinion of the foundation repairs. Delaying foundation repair can only lead to more damage in your house, including major plumbing problems, roof issues, and the obvious cosmetic signs of foundation settling. Unfortunately, foundation repair problems in Southlake only get worse. Although you may experience some seasonal lifting due to moisture, your foundation will surely continue to fall without having a foundation repair professional assess the situation. Have concerns about your foundation? Call us now and we will quickly schedule a free consultation. Let us help ease your mind. At 1st Choice Foundation Repair, we will provide you with a written estimate along with a list of references at your foundation consultation. 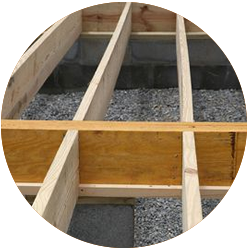 We are able to diagnose issues with pier and beam foundations as well as slab foundation repair. We will arrive on time to your scheduled appointment, and we do not operate like the cable guy with a 5-hour window. Although we normally see the greatest foundation repair damage in the summer months, we perform and diagnose foundation repair work yearlong.